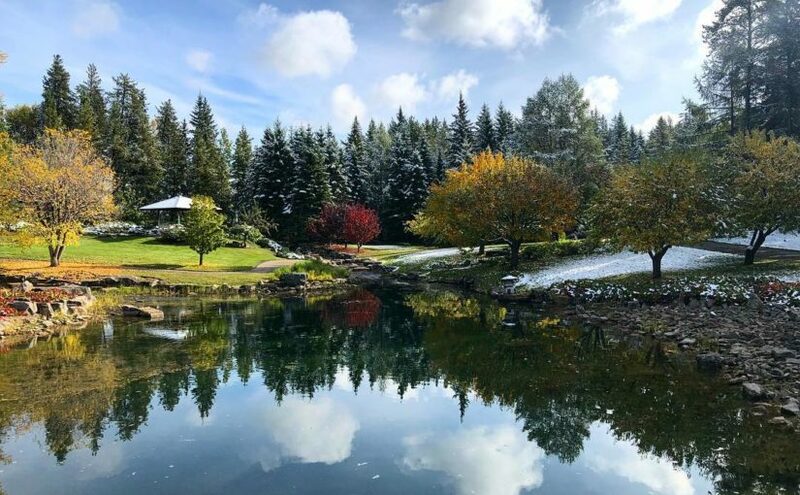 The Friends of the University of Alberta Society invites you to our public Annual General Meeting (AGM) at The Faculty Club, 11435 Saskatchewan Drive (U of A Campus) on Wednesday, May 29, 2019, from 5:00 – 6:30pm. Our guest speaker will be Dr. Lee Foote, Professor & Director of the University of Alberta Botanic Garden. The Friends are hosting the AGM this year with the same format as last year. The evening will consist of the evening’s AGM business, our guest speaker and opportunity to meet other Friends over refreshments and appetizers. Please join us for an evening to celebrate our 2018 accomplishments and what we envision for 2019. 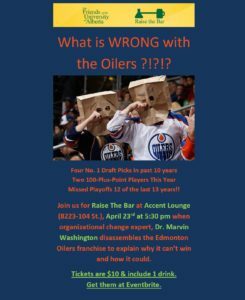 Please reserve your free tickets here. 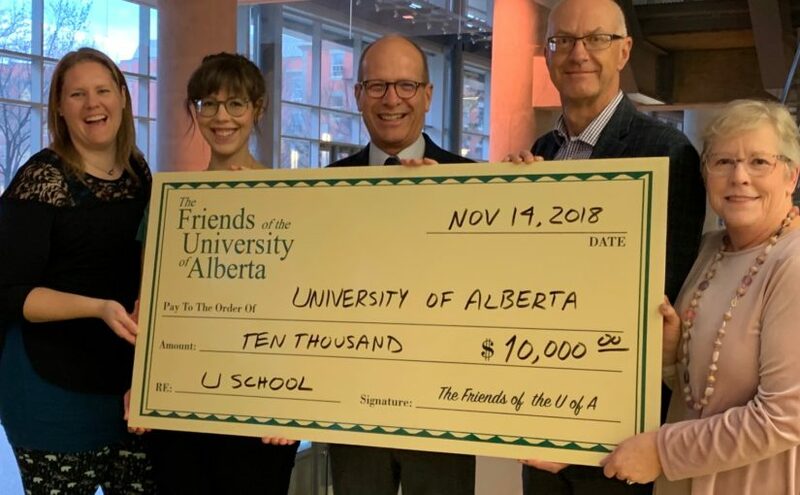 The Friends of the University of Alberta Society is proud to write a big cheque to fund the Friends of the University Graduate Award. This award has a total value up to $10,000 over two years. It is awarded to a full-time graduate student based on academic achievement and outstanding community service as demonstrated through research and/or involvement in community engagement and/or volunteer activities. 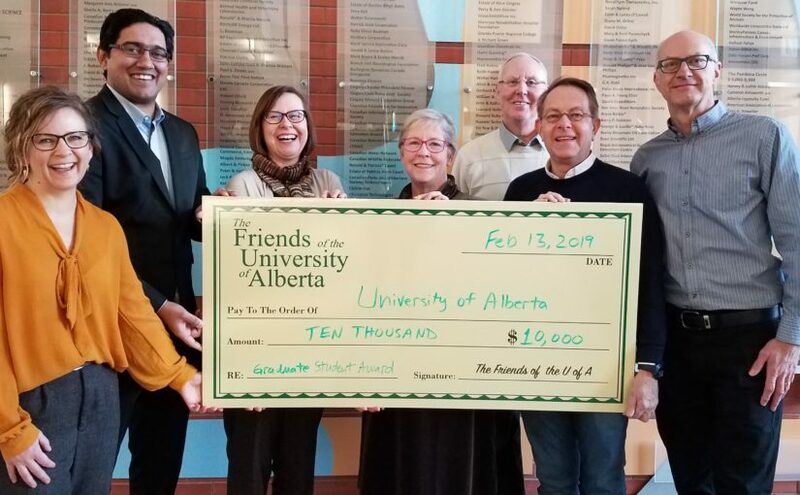 Accepting this cheque from the University of Alberta are: Tracy Raivio (Associate Dean of the Faculty of Graduate Studies & Research), Ahsan Ahmad (GSA Senator) and Kathy Fitzgerald (Office of Advancement). Presenting the cheque from the Friends of the University of Alberta are: Kate Freeman, Allen Snart, Brent McDonough and Luca Vanzella.